I've seen a lot of mixed reviews regarding The Selection. And it seems that those I'm closest to in the blogging world don't seem to be fans. However, that's what makes the world go 'round, isn't it? How boring would be if we all liked the same book? Anyway, I fell in the middle with Cass's novel. I liked it, but there were things I wasn't a huge fan about. But let's start at the beginning, shall we? 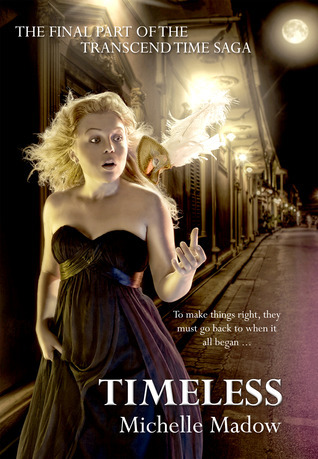 I picked up this novel, that has been hanging out on my TBR list, because it was this month's pick for Young Adult Book Blogger's Book Club. Originally, it was on my list because of the pretty pretty cover. Also, I thought the premise sounded pretty cool. It's a cross between The Bachelor and The Hunger Games. Now before I get murdered for comparing it to The Hunger Games, the connection comes through the fact that these girls are picked "at random," this is (occasionally) taped, people watch it, and Gavril reminds me of Caesar. That's where the connection ends, so breathe. The romance between America and Aspen is cute and heart wrenching. One of the biggest obstacles they face - before she gets picked for The Selection - is that they are in different castes. America is a Five, while Aspen is a Six. To marry into another caste apparently requires paperwork and months of waiting for the government to approve the marriage/caste change. I thought the dystopian setting was vaguely interesting, but highly unnecessary. We know it takes place in the US, sometime after WWIV, and the US has been through some rough times. It felt kind of like an add-on to the story and it could have easily taken place in a fantasy world and made just as much sense. What also bothered me is that some of the terminology wasn't fully explained. It didn't take away from the story too much, but explanations surely would have enhanced it. I thought the relationship between America and Maxon was approached quite well. America is brutally honest with Maxon, which he finds it refreshing, and they build a friendship long before the romance comes about. That has to be one of my favorite relationship techniques. Along with America we also learn that Maxon isn't the stuck up prince he appears to be and genuinely cares for others and wants to find a wife and confidant, not just a princess. One of my favorite scenes is when America talks to him about life in the lower castes and he immediately goes into action to give these castes aid. Side note: I hate America's name. The story as to why she got it is cute, but I can't get behind it. 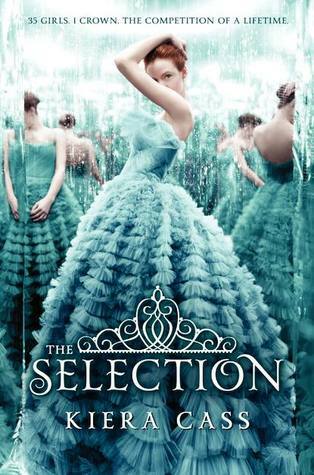 One of my favorite aspects of the novels is the girls of The Selection. A majority of them help one another out and just seem like really good girlfriends. Queen Amberly comments that she keeps in touch with some of the girls and America has said that she could see herself keeping in contact with some as well. There are also the super competitive "I will eat your heart" contestants, but for the most part they're friendly. I'm also fond of America consonantly telling the girls to be themselves and not who they think Maxon wants.